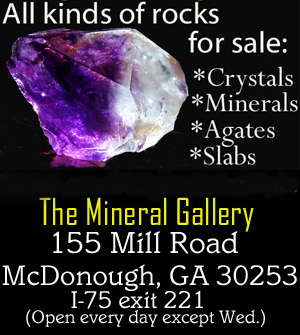 just click the link above to go back. 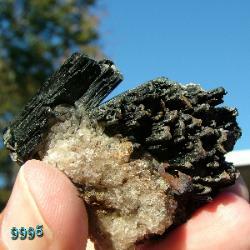 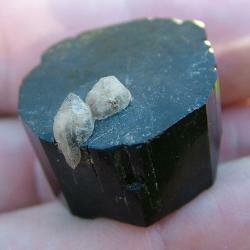 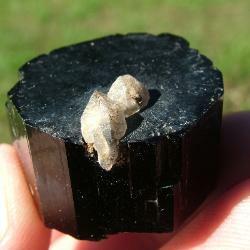 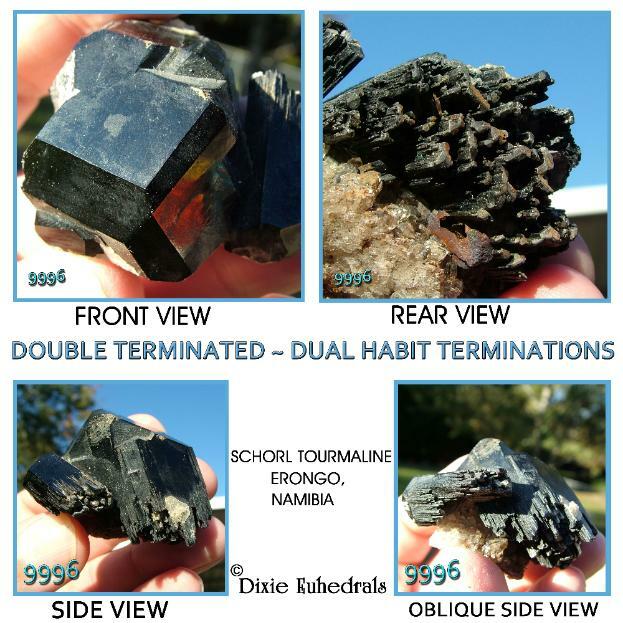 surrounding area - Erongo Province - adds even more great mineral specimens to the list. 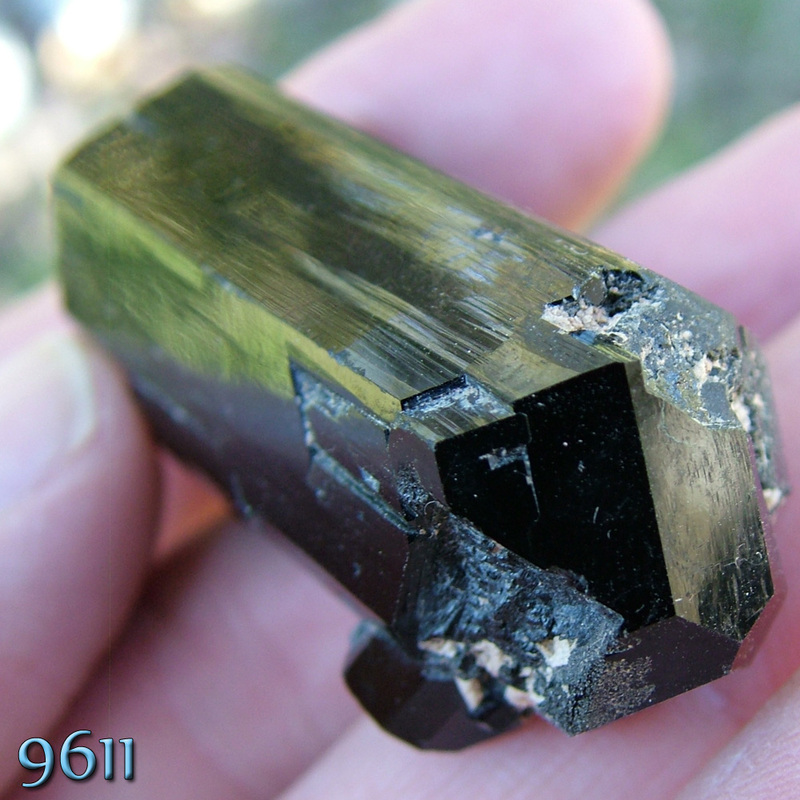 tourmaline found in Erongo Province in areas that lie in the shadow of the Erongo Mountain Range. terminated crystals both have different types of terminations on each end! 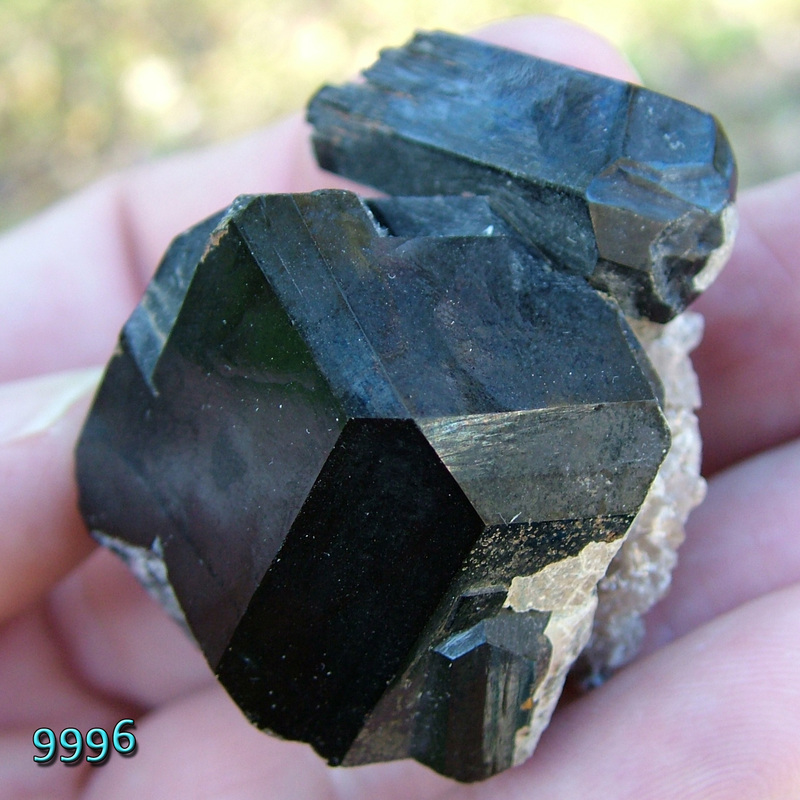 resolution photos on the page, it may take longer than usual to load. Individual photos of this unusual tourmaline crystal with a different termination habit on each end are below. 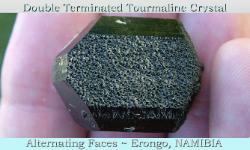 flat c-face. 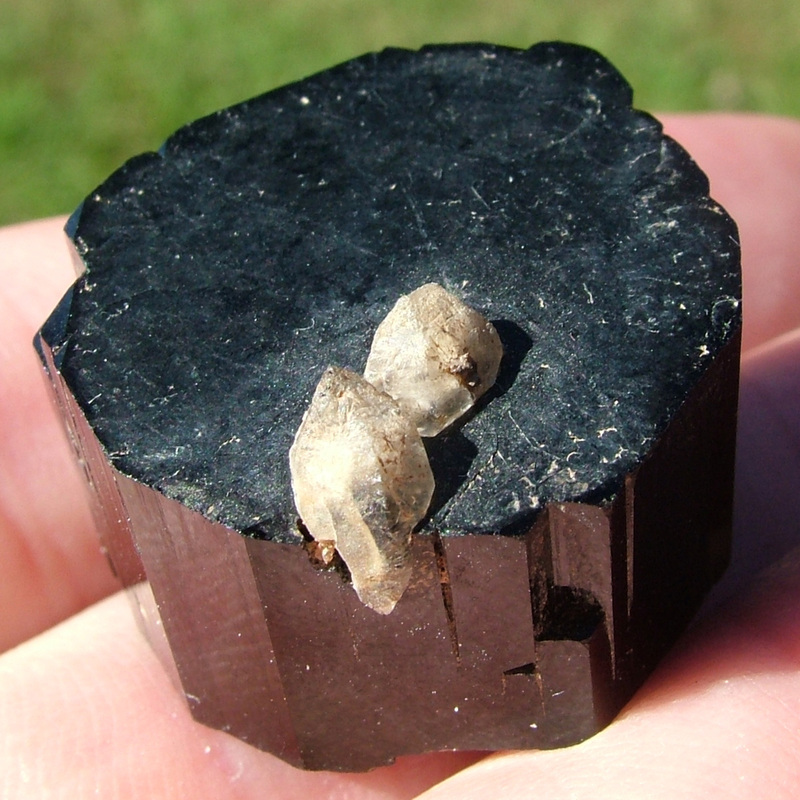 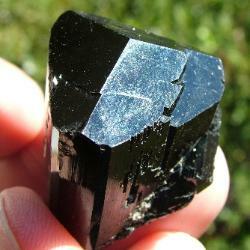 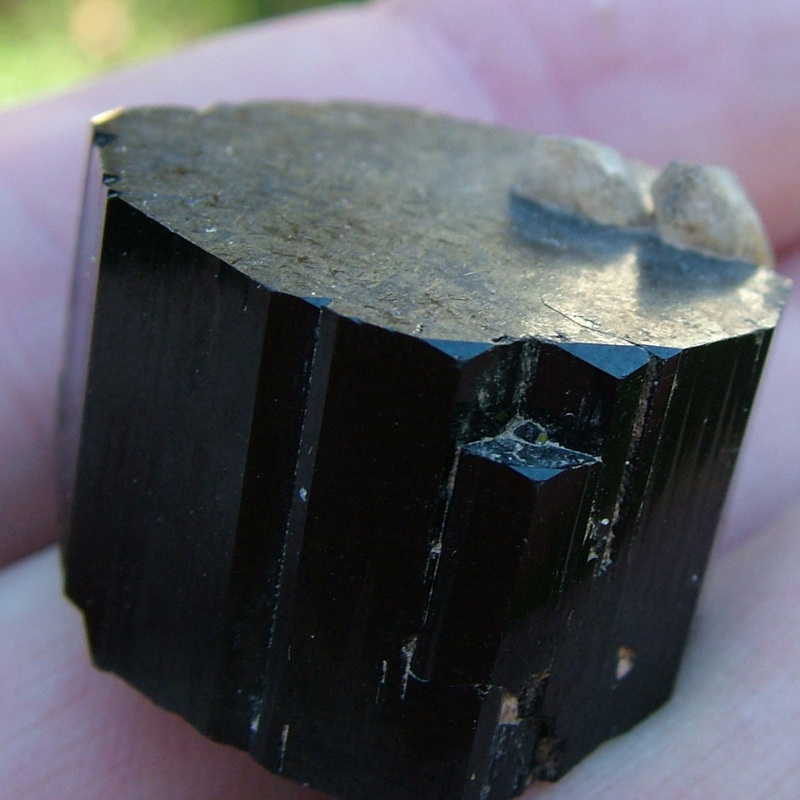 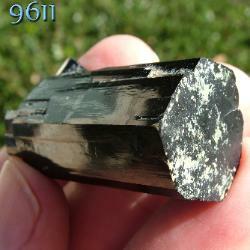 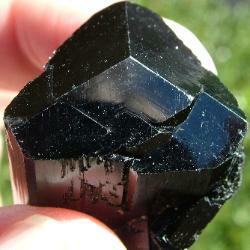 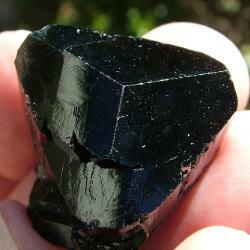 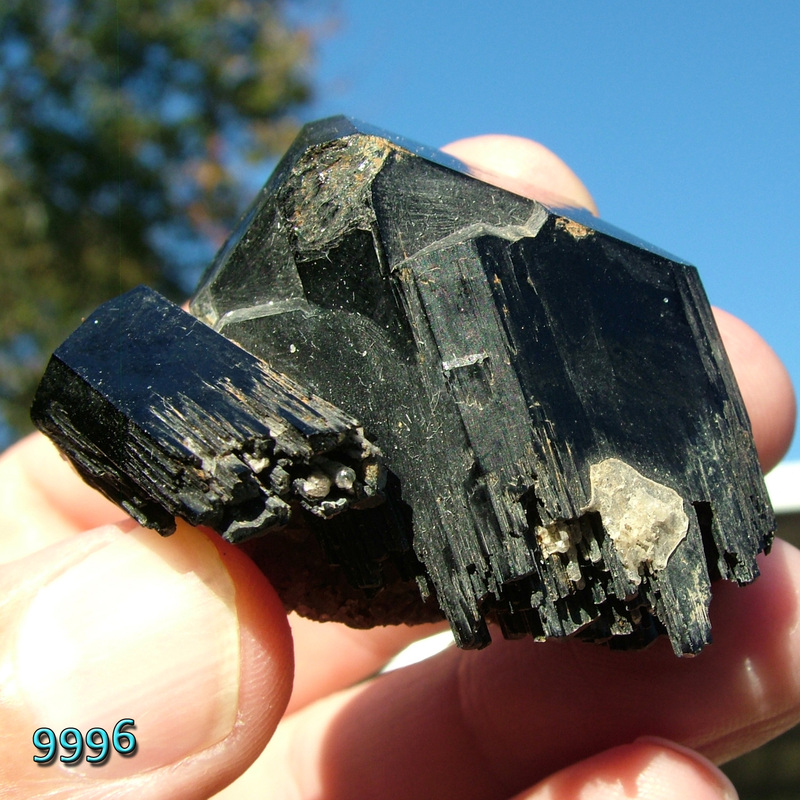 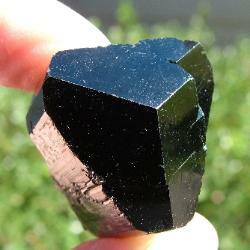 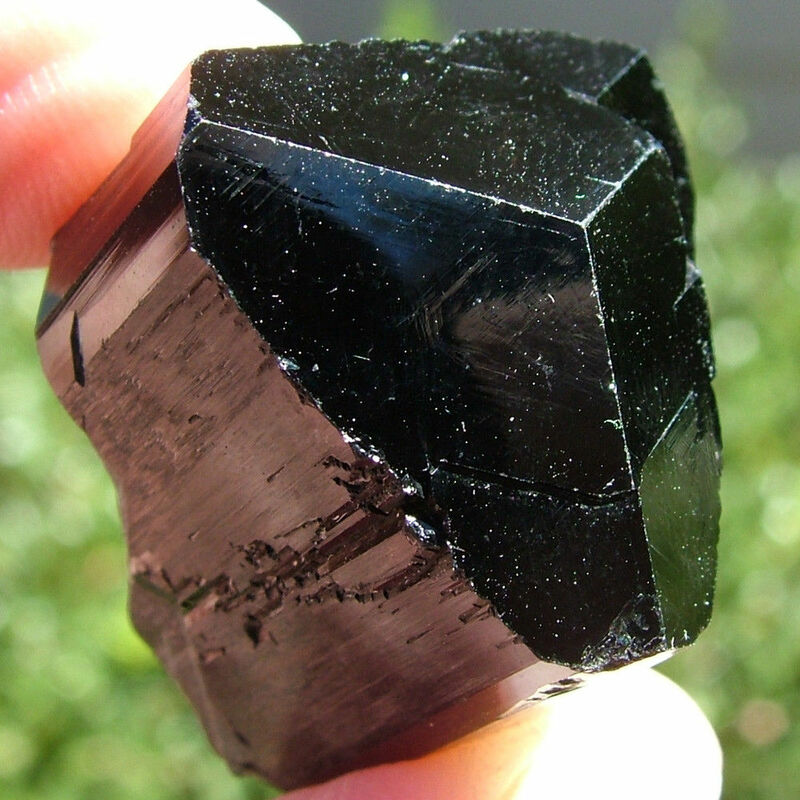 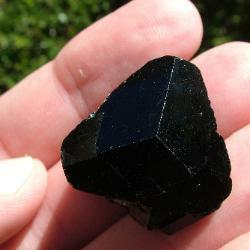 On the other hand, Schorl Tourmaline usually DOES NOT have a flat C-face (that's the termination faces). 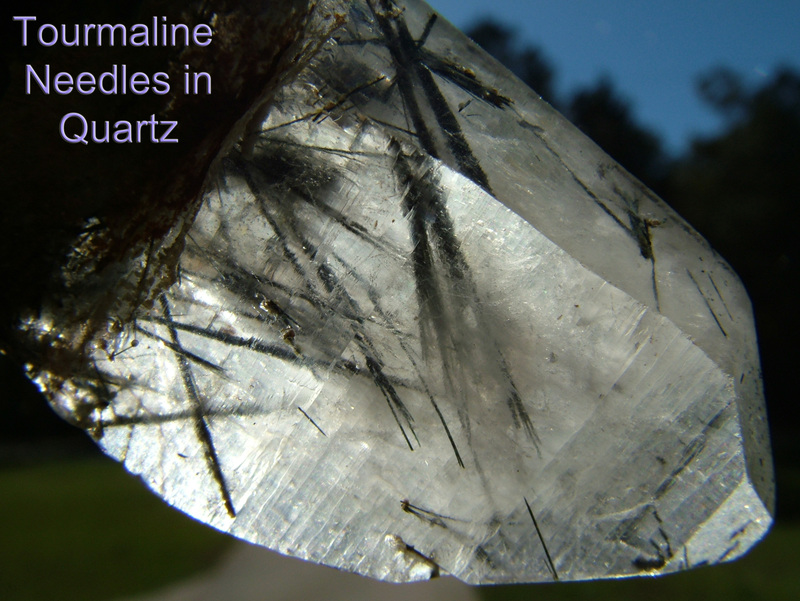 as the letter "T" like in the word 'Tourmaline': the top of the "T" is the direction that the C-face axis lies ( it is perpendicular to the long axis in a crystal). 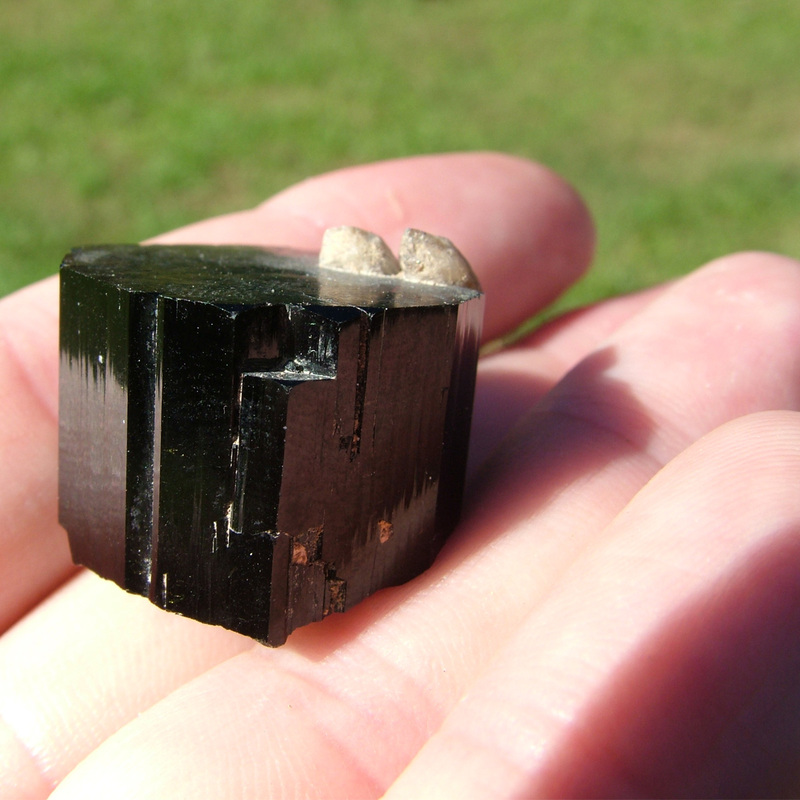 tourmaline that I brought back from Namibia. PER YEAR! 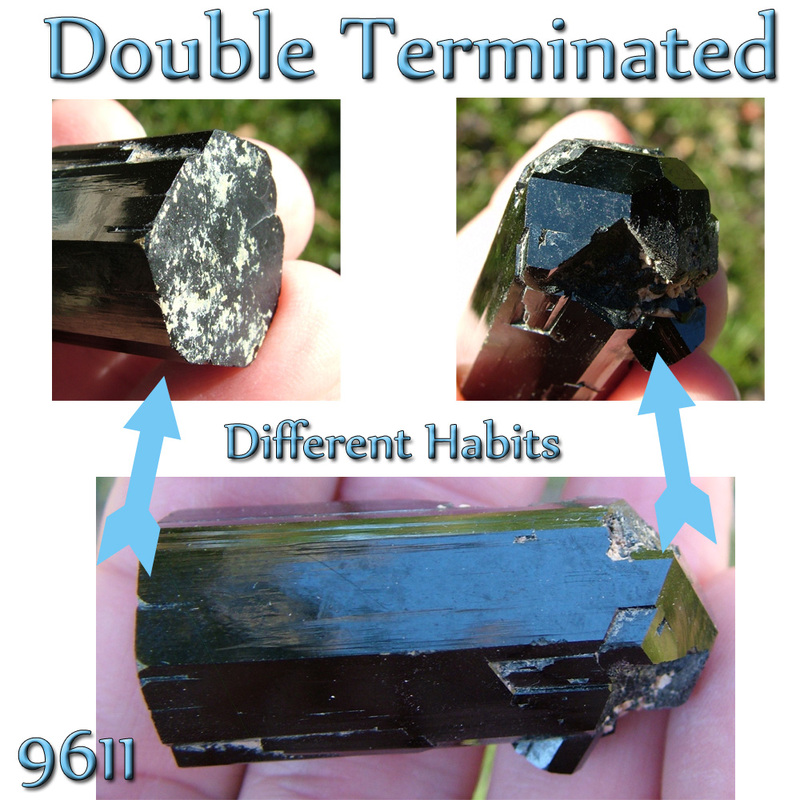 Since I have a lot of tourmaline, that makes it pretty darn rare to only see 2 per year! 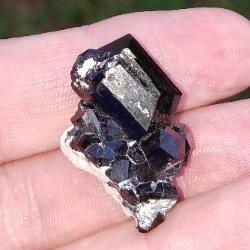 from the Erongo Mountains of Namibia. 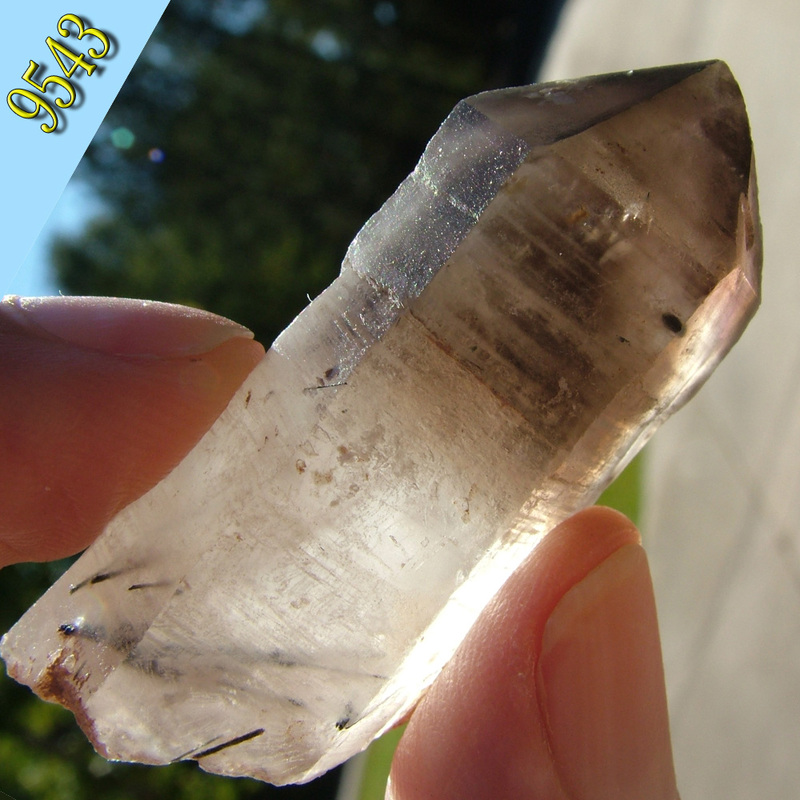 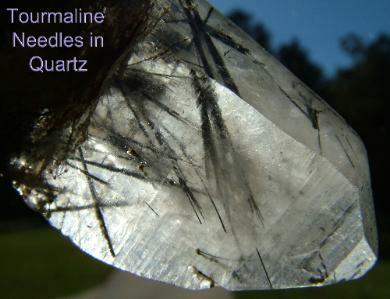 Note: The erongo Fluorite crystal on feldspar with tourmaline needles that is shown below is extremely rare. 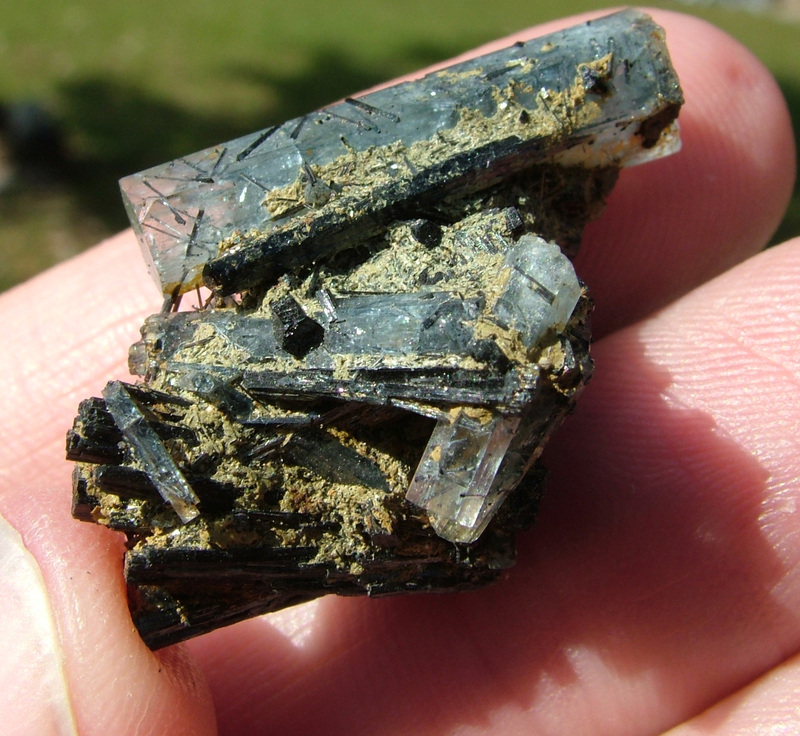 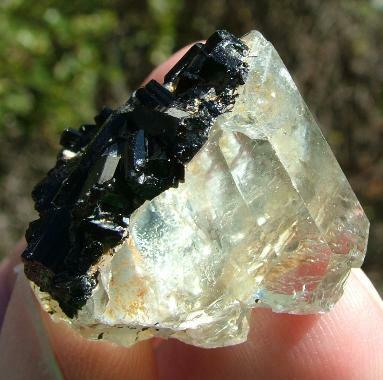 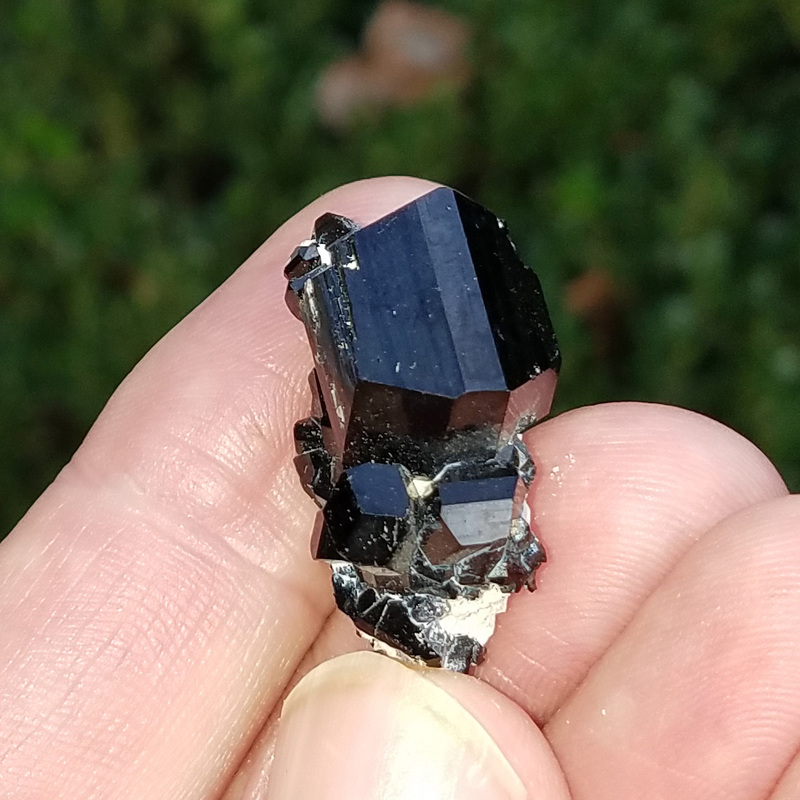 Schorl tourmaline on topaz crystal- Erongo Mountains. 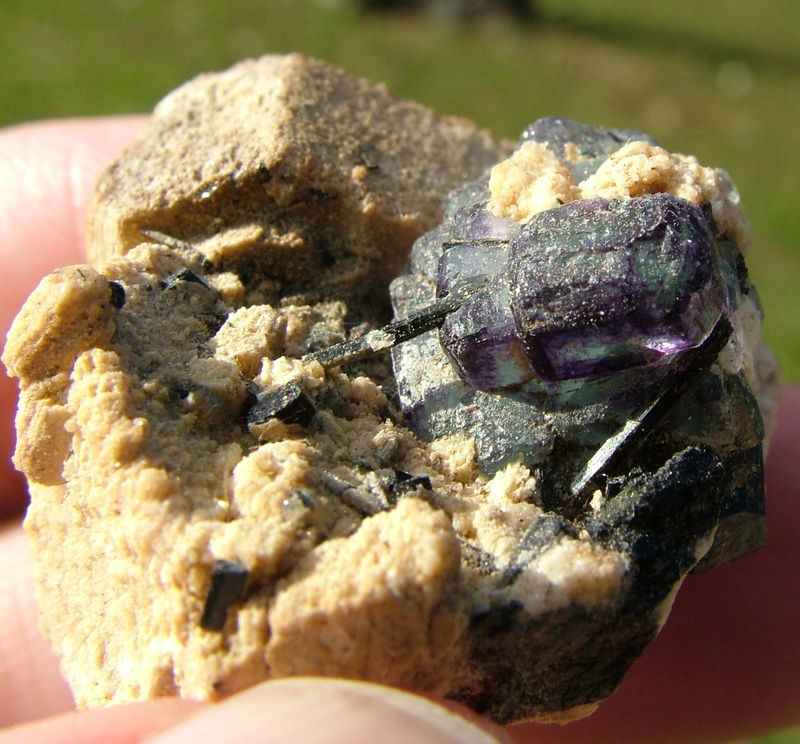 Fluorite with tourmaline needles on feldspar- Erongo Mountains.